Papercrafts by Patti: PPA Puttin' on the Ritz! PPA Puttin' on the Ritz! Happy Thursday to you! 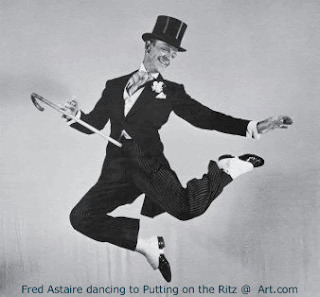 Welcome to the Pals Paper Arts "Puttin' on the Ritz" Challenge. We hope you will play along using any of your favorite products to create a glitzy, bling-y, sparkly card or project. As a special bonus this week, Pals Paper Arts is sponsoring a "MYSTERY" Blog Candy Blowout! ONE lucky participant will be showered with Stampin' Up! products from each one of the nine PPA Design Team members. What fun to watch as mystery packages are delivered from across the country. What a perfect holiday surprise!! I used Silver Glimmer paper to really make a shine. Add Dazzling Details (used on the snowflake, stocking foot and heel and around the "merry") and you have a card that outshines the rest! I chose an untraditional set of colors for this Christmas card, Rich Razzleberry and Old Olive. The stocking is a heavy sticker from the Christmas Lane Simply Scrappin' Kit (124007 $21.95) in the Holiday Mini. You can order it through January 3rd, 2012. It is a great kit to use for tags, cards or anything you don't have a lot of time for. Simply peel your stickers and add them to your items along with the coordinated double-sided designer paper and 12 x 12 card stock. They also make wonderful coordinated, quick accents for your scrapbook pages, of course! Thank you for looking and I encourage you to play along AND leave a comment for me to read. Remember, to be eligible for the Blog Candy, you must play along at the Pals Paper Arts site. It's not too late to place an order for your last minute Stampin' Up! supplies or gifts. Just use my speedy Website and your products will come right to your door! See the current Stampin' Up! Promotions here. Love all the glitz on your card, Patti! Great colors and layout ... pretty! WOW! The colors on this card are beautiful! I love the use of the silver glimmer paper and the glitzy snowflakes! I love the colors together! Great bling, too! Gorgeous sparkle and the colors are wowza! Love the glimmer and shimmer against the green and purple, Patti! Very non-traditional, but I love it! Great color combo -- definitely "ritzy"
Wonderful colors and it sure does glitter.